Last week, we talked about how to set up your book signing at a Barnes and Noble or other brick-and-mortar store. This week, we’ll talk about one aspect of marketing that a lot of authors (especially indie authors) overlook, your press releases and media kits. Many authors are already full-up on social media, between Twitter, Facebook, and Instagram. Adding one more thing onto their plate seems like overkill. 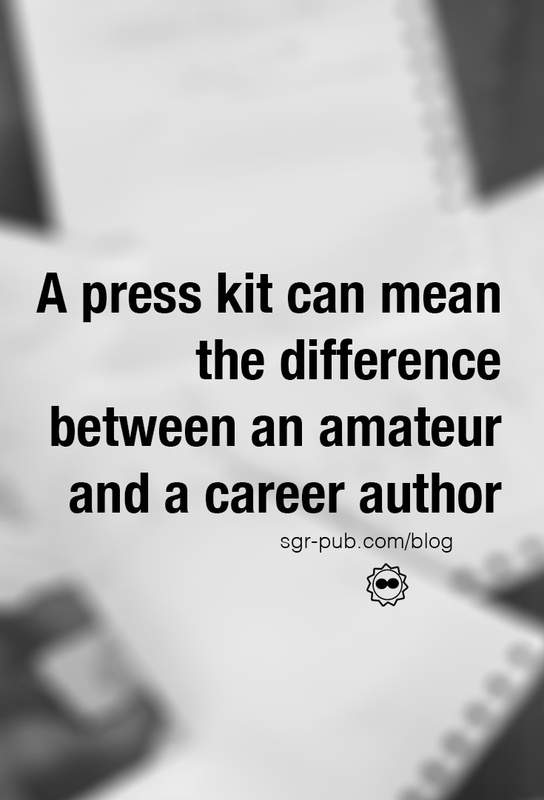 But in this case, your press kit is one of those things that will set you apart from the amateur author. Taking a few hours to draft a well-written, informative document that you can leave on your website (and update once a year) shows reviewers, journalists, and the like that you mean business. What is an Author Media Kit? You can also add individual press releases, review blurbs, and anything else that you think a news organization would like to know to help promote you. Generally, you’ll want to compile all of this information into a .PDF (not a Word document) and stick it on your website near or around your About section. You should also have links to high resolution images of your cover and author photo on that same page. For our alter-ego’s press kit, we broke out the book covers and excerpts into their own bullets, and kept the press kit focused on just the author herself. What’s in a Press Release? A press release is an official statement or description given to a news organization about a particular matter. You can use a press release to announce the release of your new book, or, more likely, you’ll use it to drum up excitement about a local event, such as a book signing or comic book convention. Introduction: What’s happening, where, and when. Opening paragraph: A more storified version of your introduction. Author Quote: This part gets a little strange, and is one of the only times you can quote yourself. You can adjust your content as needed for the specific event that you’re drafting the release for. First, you’ll want to add your press kit to your website. That way, if any reporter or media person is looking for information about you to use in a story (hopefully, a positive one), it’ll be easily accessible. This is also really helpful for bloggers and reviewers who might want to feature your book on their site. When it comes to sending press releases, you’ll actually want to put the press release into the body of the email. Most journalists won’t accept attachments (because #internet), so if you want your words to be seen, it needs to go in the body of the email. Many news outlets have a Submit a News Story link on their website, but if you can talk to an actual person, then you might find more success. You also may not get any hits on your press release either. But like with most advertising, half of it works. The trick is finding out which half. 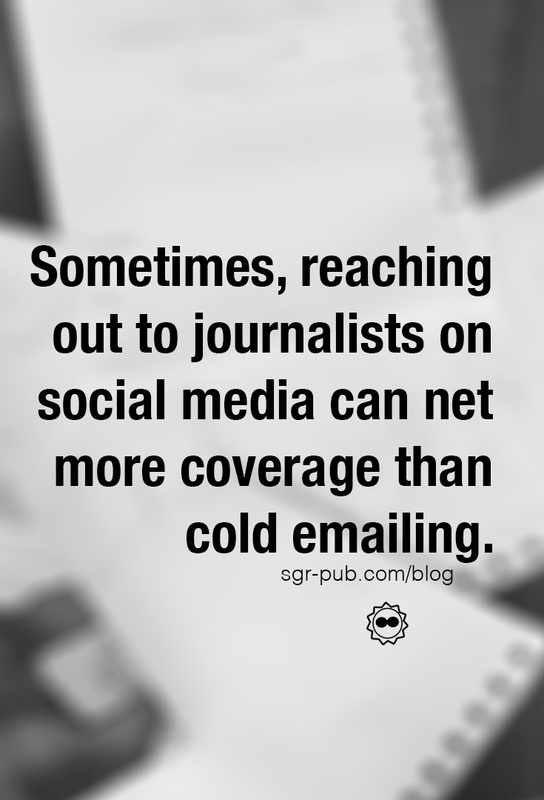 Don’t be shy about reaching out to journalists on social media (politely and professionally, of course). Our alter-ego scored an extended interview and wall-to-wall coverage for Pensacon in 2016 on the local news station–simply by reaching out to the news director on Twitter and asking if they needed more stories for the event.